There is something really classy about cape. 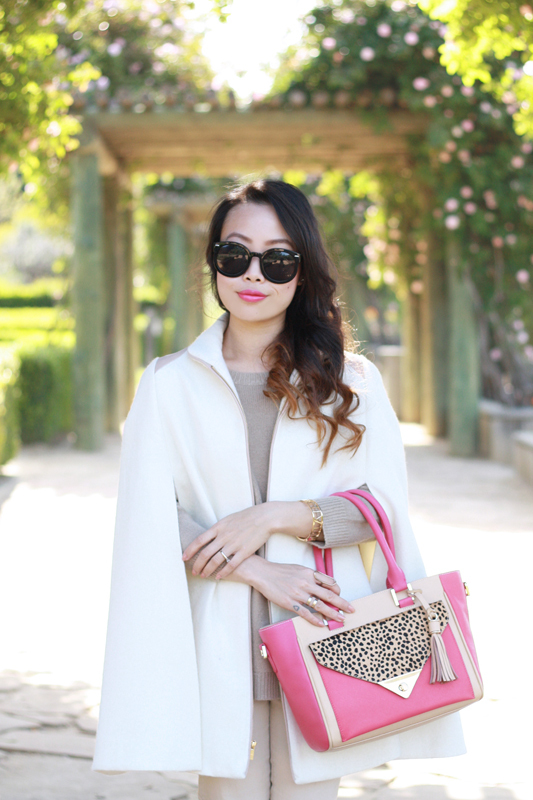 Whether you dress it up or down, a cape just has that effortlessly chic appeal. Most of the capes I own are vintage, that is, until I found Ellsworth & Ivey. 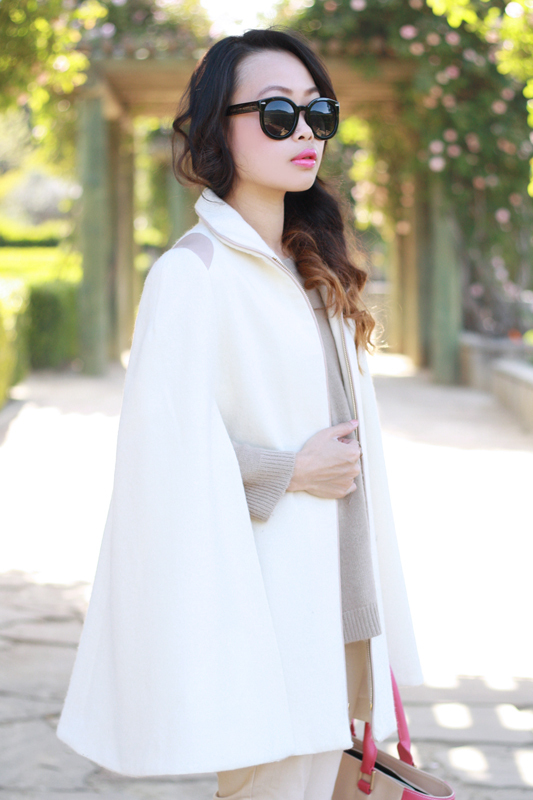 Ellsworth & Ivey, based in San Francisco, has a collection of beautiful capes that are classic yet modern. 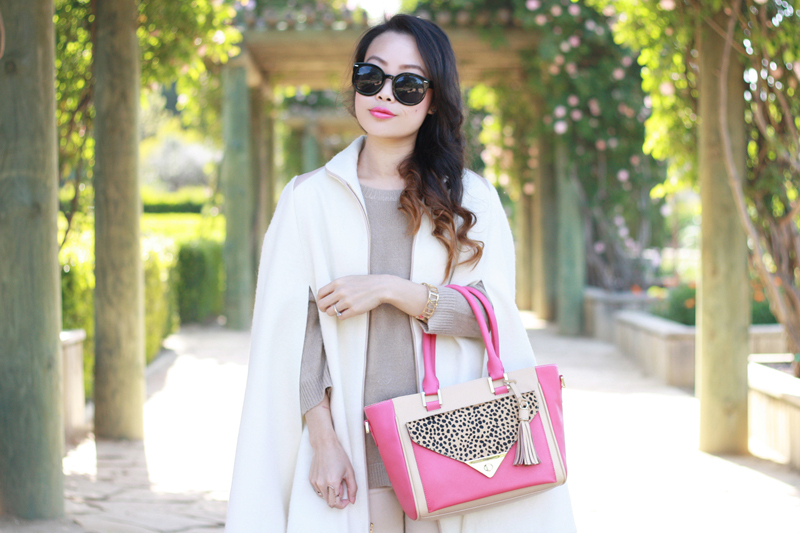 Here I am wearing the white Marilyn Cape at the rose garden in Bernardus Lodge during my trip to Carmel last week. It is light but cozy, perfect for the breezy morning walk. I paired it with a basic knit top and pants (I like to keep things simple when I travel), the Wink & Winn satchel which I designed (you can read about it here) and these lovely grosgrain silk loafers with cute little bows by Jacques Levine. 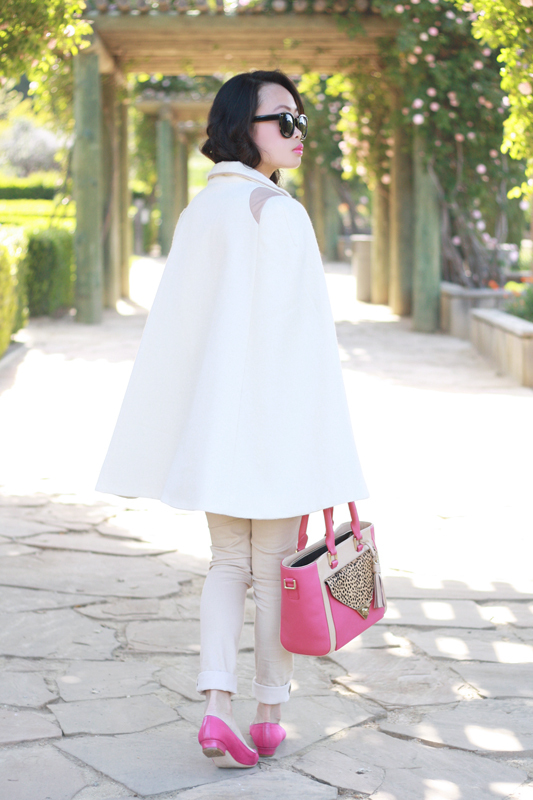 White Marilyn Cape c/o Ellsworth & Ivey. Taupe knit top from F21. Colorblock satchel designed by me c/o Wink & Winn. Laura grosgrain silk loafers c/o Jacques Levine. So cute!! Love the bag! 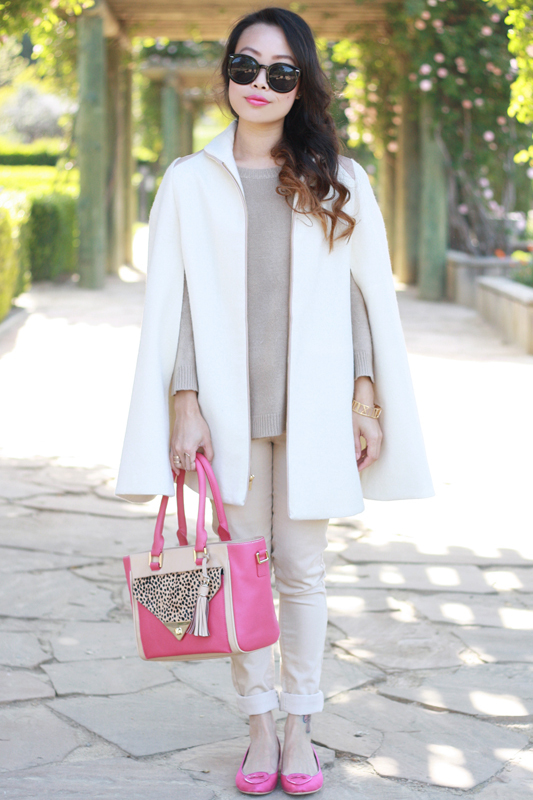 That cape is just so perfect! I love the color on you so much and the pops of pink are just perfect! Your shoes are so cute, your outfits are really feminine.